Free Standing Quartz Heater. 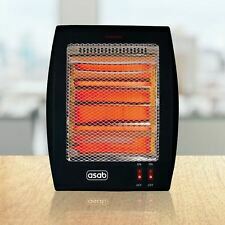 The heater uses energy efficient radiant technology rather than using air to heat and features 2 convenient heat settings and a thermal automatic cut-out feature to avoid overheating. Free Standing Quartz Heater. 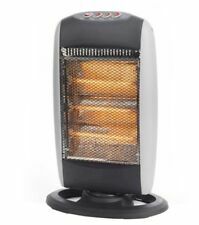 1 x Free Standing Portable Quartz Heater. The heater uses energy efficient radiant technology rather than using air to heat and features 2 convenient heat settings and a thermal automatic cut-out feature to avoid overheating. 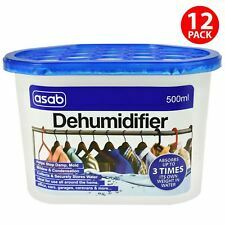 Simply place in the affected area to improve humidity. Buy with confident. You May Also like these. Building dryer dehumidifier Andrews HD500 S3. Condition is Used. Some scuffs and scratches but working fine. 3.Built-in scale ruler (0 - 31 cm). The pad may have dust or other appearance minor defect. It does not affect the function. Material: Silicone. A good partner for hot air gun. Make your repair work easy. 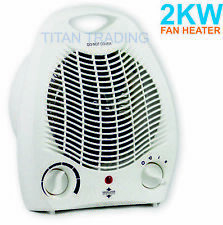 2 x 2000w Heater (UK Plug). 2x Electric Upright Adjustable Fan. 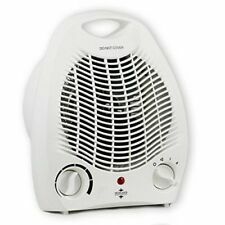 Heater Hot Cold Small Portable. Portable fan heater. Adjustable thermostat and thermal fuse. Power indicator light. Double thermal cut off. Simply place in the affected area to improve humidity. If they are still unsuccessful they will either Your Money Back. We pride ourselves on the service we provide. So buy with confident. Personal space air cooler and humidifier. This Air Cooler turns cold water, via a special filter, into cool, clean air. It humidifies, cools and even purifies your personal breathing space so you can stay cool and breathe clean, cool air wherever you need it. 2x Large Hanging Dehumidfier Bags. Used Systemair fan MUB 062 560EC A2 centrifugal box fan in EN8 all as pictured. Energy efficient latest EC motor. Retail well over £ 1000 used - been in storage for a couple of years. Collection from Cheshunt herts during office hours. Happy to allow YOUR courier to collect. Paypal only please. Brand New In Crate Denco Happel 50kw DF Air conditioning unit. Cost-effective solution for infrastructure cooling applications with embedded duty rotation and back-up operation. Sleek and elegant design, available in 3 colours to match any interior design. Infrastructure cooling. Simply place in the affected area to improve humidity. Removes dampness. Damp trap (x2). Prevents mildew. Your Money Back. If they are still unsuccessful they will either. A daikin intelligent touch controller. DCS601B51 Removed from working system and in good order.. Operating instructions available via pdf. Will post if required, please let me know the destination and I will provide a quote for postage. COLLECTION ONLY FROM NE13 . This unit is very heavy at 35kg so will require collection. 1 x Internal Mounting Duct In-line Centrifugal Fan. Nominal Fan speed: 2285 rpm. Input Power: 75 Watts. Code: S3-150. The fan/motor assembly can be turned 180 degrees to change the air flow direction. York Chiller main Processor Board ( Part: 031-01095-001 Rev A). Working pull from decommissioned York Chiller in fully working order. Dehumidifier with 12 Litres/day extraction rate, 2.2L removable water tank and a 30cm hose for Continuous drainage with concealed easy-glide castor wheels.This product can be used with a Timer Plug Socket Digital Display with Active humidistat to set required humidity level, 24h delay timer to auto-start and auto-stop. Comes with Auto-defrost and Child-lock Set Sleep mode to operate without the display disturbing the sleep. Use Laundry mode when drying clothes inside the home. Ideal for medium/large rooms with persistent dampness, moisture and/or mould. This is Brand New Stock but has a small mark on outer retail packaging. of no importance but best to mention it. We have a friendly and knowledgeable team who are more than happy to help. Opening Hours. Also installation service available all over UK. Honeywell 22mm Midposition Diverter Valve V4073A1039 installation guide. Honeywell 22mm Midposition Diverter Valve V4073A1039 reference guide. Manual lever for filling/draining down. Boxed and brand new . Stainless Steel Marine Air Blower. Torin Sifan Twin fan Extractor HVAC Ceiling extraction Air con. This unit has only been used for 6 months. Comes with brand new spare fan. Cost £1250 new so grab a bargain.Low reserve. Tower Grasslin Optimum 2 port Valve Head And Body 22mm. Manual override lever. Daikin Altherma 6Kw In-Line Electric Back up Heater. Part no: EKBUHAA6V3. 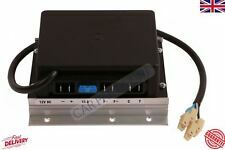 Sauter Centair Rcp 20 Rap 80 Manocomb Control Unit for Ventilation a/C ?